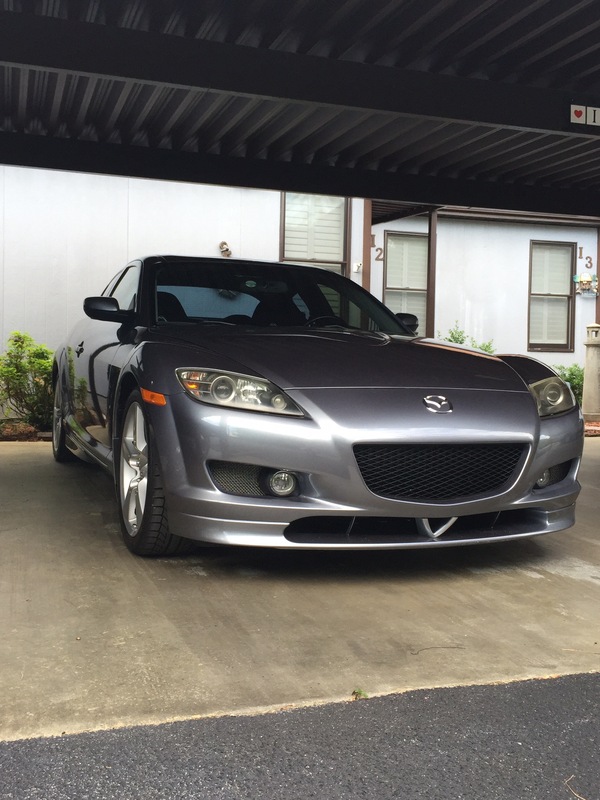 The time has come to part with my second RX8. It's a great, fun car but I rarely ever drive it so it's time to go. I've owned it for a little over 4 years and have barely put 11,000 miles on it, has a total of just under 110,000 miles. I have had the engine replaced by Mazda with a low mileage motor from a donor car. It has a exedy HD clutch, Black Halo Racing lightweight flywheel, Black Halo Racing catless midpipe, Tein S.Tech springs, Hawk HP pads all around, ATE 2000 brake fluid, Goodridge stainless steel brake lines, oem blank rotors, redline trans/diff fluid and a simple k&n drop in filter. I have a pioneer double din headunit installed with Bluetooth and steering controls and a Optima red top battery. I had plans for the car, but just don't have time for any of it. Since I have owned the car, it has been meticulously taken car of other than the fact it isn't in a garage (I don't have one). 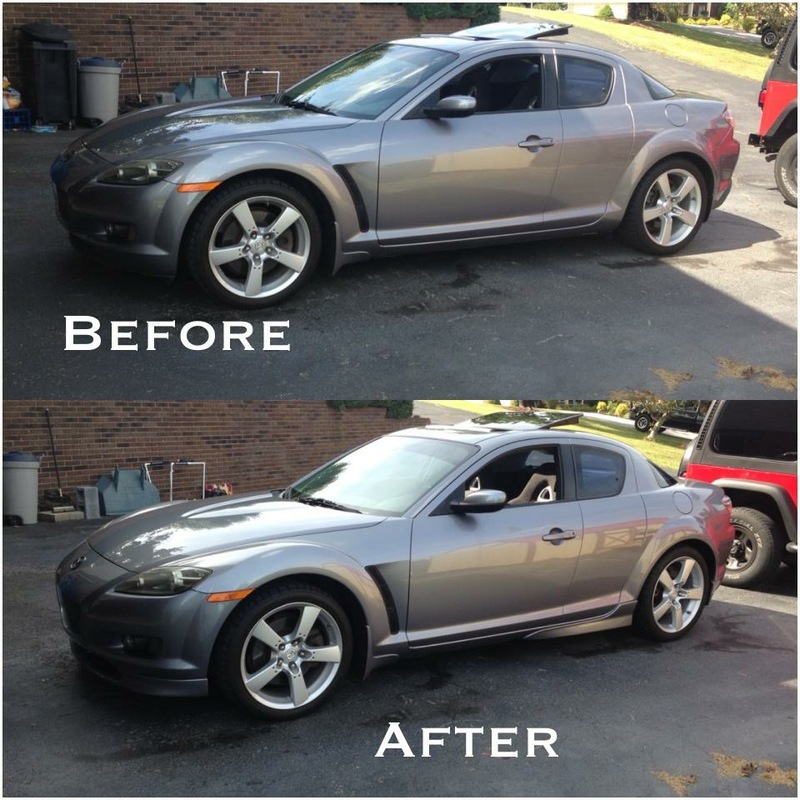 When I bought the car it had hail damage, which was repaired and professionally painted at a body shop in Kingsport. I replaced broken interior pieces and the engine cover. The only issues I'm aware of is the throw out bearing rattles, which is common when you don't use a oem bearing. I regret not doing that, I used the exedy bearing. The tint needs replaced, I never got around to it. And the sunroof make noise when it's opened or closed, like the gears are worn. Oh, and there is a weird rattle that you can only hear with the window down while driving. No one has been able to figure it out, I've had it at the mazda dealer twice and they never could find it. I have a few extras to go with the car. Some bg syncroshift 2 fluid for the trans, more redline for the rear diff, and a new slave cylinder and stainless line. Nothing wrong with the cylinder that's on it, just wanted to change the line so I figured I'd change it too. Price is pretty firm. Serious inquiries only please. No joy riding, need proof of ability to buy. I can provide more pictures if needed.